Without a doubt, the Swaledale village of Keld is one of the most tranquil in the whole of the Dales. Standing at the summit of a deep valley, it used to be considered one of the most secluded villages in the county, but has become popular with walkers in recent decades as it sits where the Pennine Way and Alfred Wainwright's Coast to Coast intersect. The Pennine Way is one of the most challenging hiking routes in England, running for 267 miles from the Peak District to the border of Scotland, while Coast to Coast runs from St Bees in Cumbria to Robin Hood's Bay on the North Sea. 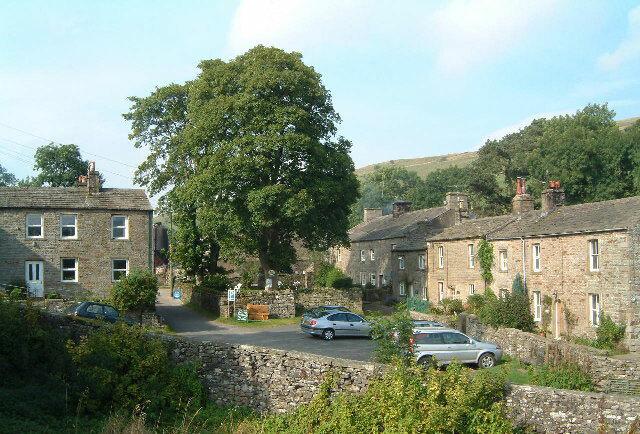 Despite its rural location, Keld was once an important place for lead mining and its population rose as high as 6,000 people during the middle of the 19th century. Today, though, it is likely to be less than 100. As well as the aforementioned hiking routes, walkers love the village because the hills and valleys around it are home to not one but four waterfalls. Kisdon Force to the south drops 10 metres and is surrounded by Kisdon Force Woods, which has been designated as a Site of Special Scientific Interest due to its abundance of wildlife and foliage. East Gill Force in the east is less dramatic but is no less inspiring, while Wain Wath Force and Catrake Force upstream are popular spots for white water rafters. If you wonder why some of the buildings in Keld appear to be built from lighter stone than other Dales villages it isn't because they are newer but rather because they have been lovingly restored by the Keld Resource Centre in recent years. The centre, which is linked to the village's United Reform Church, works tirelessly to promote Keld and has even operated the Countryside and Heritage facility in the village since 2011. It tells the history of the village and its people and features some artefacts that were donated by the Swaledale Museum. Weekly events for locals like yoga and poker in the pub or darts, etc. Please send us details of any local information for Keld - we will post them here. Please send us details of any local travel information for Keld - we will post them here.